Over 50 new tracks to shake it to on the PS Vita! Well, this is a huge surprise. 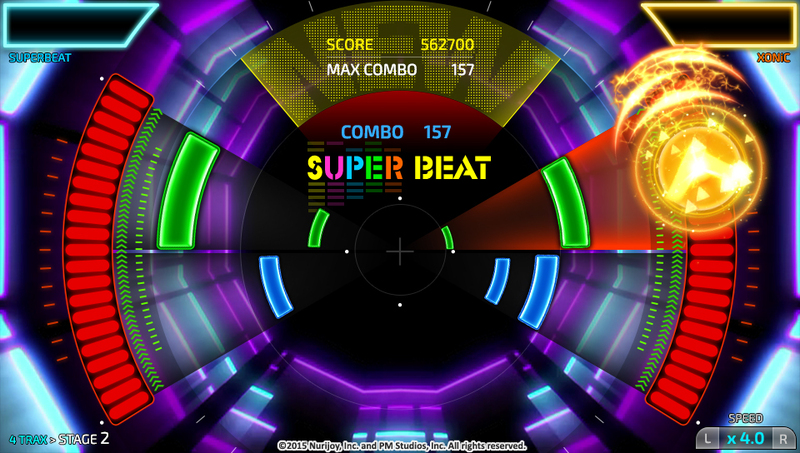 Previously we reported that the follow-up rhythm game to DJMax and similar games Superbeat: Xonic would likely not be coming to the West due to licensing issues. Today that all changed, with Acttil and PM Studios releasing the English debut trailer of the upcoming game for the West! The game has been confirmed to be compatible with PlayStation TV, and it'll be out as a retail copy and digital copy in North America and Europe in the fall. The game will feature a special touch-based interface especially for the Vita, over 200 hidden rewards, and a real-time global ranking for players. Most importantly, it'll be packing over 50 original music tracks with new tracks to eat up. Color me super excited. I can't wait to get my hands on it, and this is fantastic news. Now if only I could get Jubeat here.